The countdown has started! 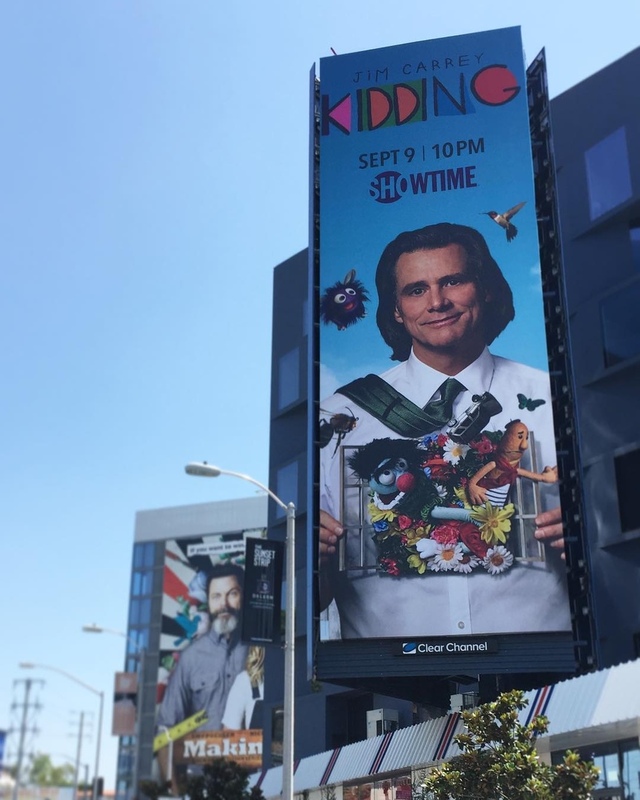 We're 11 days away for the premiere of Showtime TV series "Kidding", starring Jim Carrey and the promotion has been at full swing. The city of Los Angeles is filled with billboards for the series that feature the official poster with Jim Carrey's character Jeff Pickles, front and center. 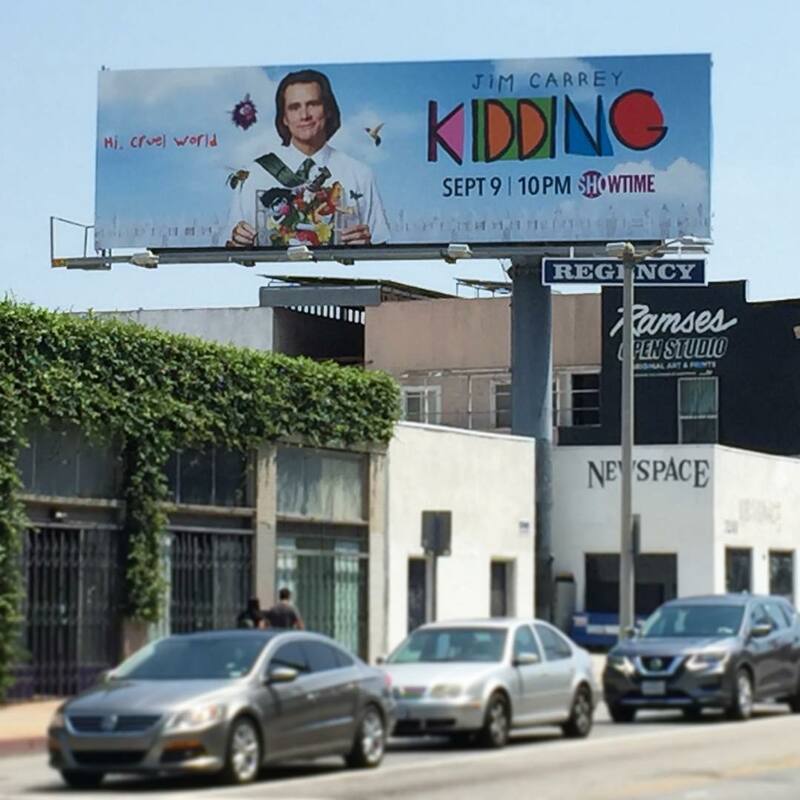 You can't miss "Kidding" Sunday, September 9th on Showtime!